This beautiful, albeit clearly photoshopped, image circulates via social media websites, blogs, and online forums. It is usually touted as an example of “beautiful nature”, “our wonderful world” or similar. The image depicts an island in which a towering rock face shows a human head in profile. A waterfall streaming from the head represents the figure’s long flowing hair. The piece is clearly the work of a quite skilled digital artist. So much so that a remarkably large number of commentators apparently think the image depicts a real natural formation. However, not surprisingly, the waterfall head image was created using a photograph of a normal island as the source. 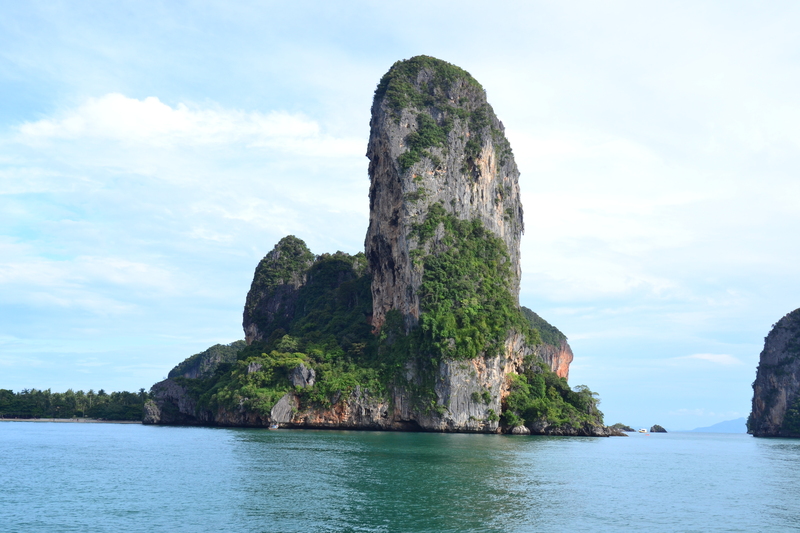 The island is located in Phang Nga Bay in Thailand. A photograph of the island published on The Traveluster blog in 2012 shows the same shape and appearance of the manipulated head waterfall image. It appears that the artwork was created using this photograph as the source. Note the small boat at the base of the island in both the original and manipulated versions of the image. Cloud formations in both images are also identical. The name of the artist who created the work is currently unclear.